2016 is now drawing to a close, and the last week of 2016 has been very dry. In fact, it has been dry all December. Dallas/Fort Worth International Airport has recorded only 0.60 inches of rain this month. That is well below the average December rainfall of 2.55 inches. The result is a return of drought conditions to parts of the area. 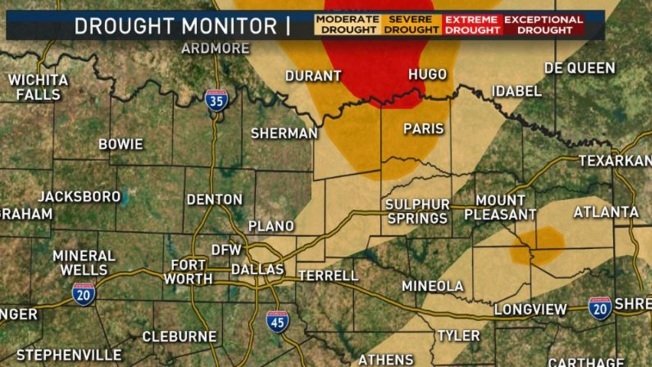 Extreme drought is showing up in southeast Oklahoma, and moderate drought has even returned to parts of Dallas. The combination of the lack of rain, gusty north winds and low humidity led to several grass fires across North Texas Thursday. 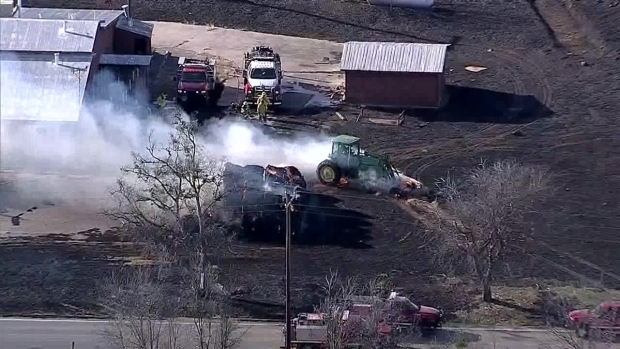 Low humidity and high winds in excess of 20 mph fueled several grass fires in North Texas Thursday. Rainfall for the year has had its ups and downs. Rainfall was above average in April, May, July, August and November. But it was below normal the other seven months of the year. As a result, the Metroplex will finish the year a little drier than normal, with a total of 35.48 inches. That's below the average of 36.14 inches we expect in a normal year. This final week of 2016 has also been very warm. From Dec. 24-28, DFW was in the 70s or 80s every day. We even broke records with a high of 80 degrees on Christmas Day and 83 degrees on Wednesday. Compare that to the average high temperature of 56 degrees at this time of year. Temperatures will remain mild through New Year's Day, but we will see another blast of Arctic air arriving Tuesday night. There may even be a chance for some freezing rain, sleet or snow next week! You can see the detailed NBC 5 forecast for the next 10 days here.